"Our great film heritage is in black and white. It's a beautiful form. And I think nowadays that recording visual information digitally and presenting it in HD ... things look so vivid and so real. I don't think we necessarily want that from the cinema. You want art in general and cinema to transform the image. To give us the recognizable in a new way; in a beautiful way and the beautiful color images we see to me aren't half as beautiful as Technicolor from the 40's and 50's that transform things, and I think black and white is a great way to do that. We don't want such verisimilitude in everything, certainly not in art. Both early cine cameras and projectors were manually operated by people who, at some level, understood they were creating art. Our research, combined with our judgment, teaches us not to advocate new "standards" that have to be conformed to, but in some respects to return to the non-conformist early days of cinema where the heartbeat of the scene could change, much as a human heart changes its tempo in response to events. By the simple expedient of a slight adjustment in the rate at which they cranked the handle of either the camera or the projector or both, they could modify the pace of life itself. In the early days, of course, a great deal of experimentation happened, some of which has come up for reconsideration quite recently. Frame rates varied from 12 fps (which was right at the edge of how slowly you could project nitrate film lest it ignite in the projector) to 48 fps in some kinetescope films. 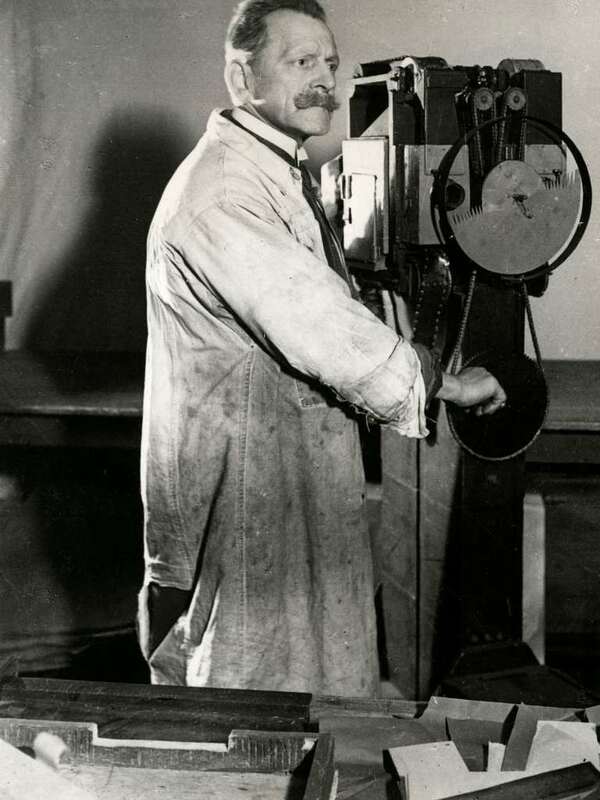 Some early experiments took frame rates all the way to 1,600 a second, shot in 1921 by Charles Francis Jenkins (the founder of the SMPTE). Jenkins achieved 1,600 fps using the mechanism below. 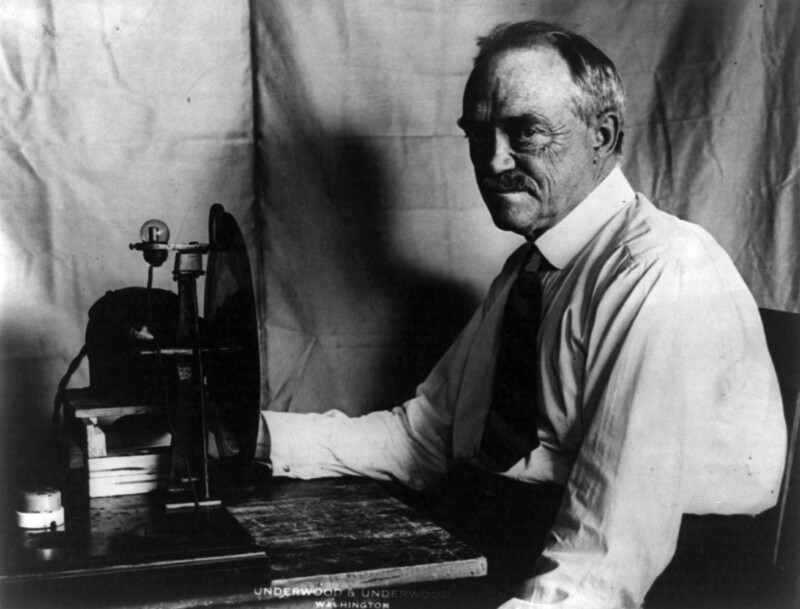 His camera used rotating lenses and a contra-rotating prism in order to paint light onto the filmstrip. Unlike a conventional camera in which each frame is held still in order to be exposed, Jenkins' Novagraph camera beamed light onto a continuously moving strip of film. The Novograph also addressed the issue of intermittency and produced a "constant motion" effect. Since the film strip was always moving, none of the light coming into the lens was blocked while switching between frames. 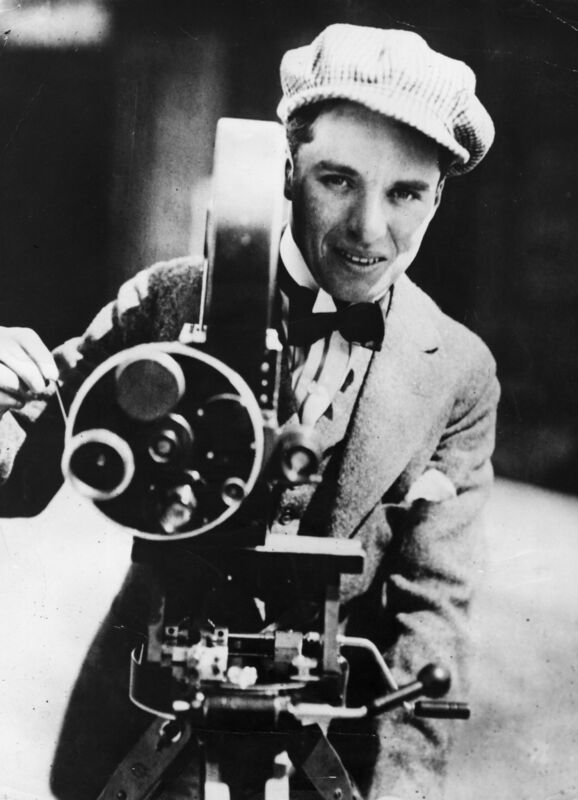 Constant motion imaging as well as stereo, or 3D imaging was very much on the minds of the early film pioneers. Max Skladanowsky's Bioscope camera achieved both constant motion imaging and stereopsis simultaneously, by shooting two-strip side-by-side a hundred and eighty degrees out of phase. In the silent era of hand-cranked film, the cinematographer (along with the projectionist) enjoyed considerable control over the mind of the viewer at a subliminal level. Much of this was lost with the advent of sound, the motorization of the camera and the 24 fps standard that was then imposed. Prior to sound, the cinematographer was accustomed to employing all manner of psycho-physiological effects on his audience by manipulating both the acquisition and the display rate of his images. In the earliest days of our art-form, cinematographers discovered that they could manipulate time itself. 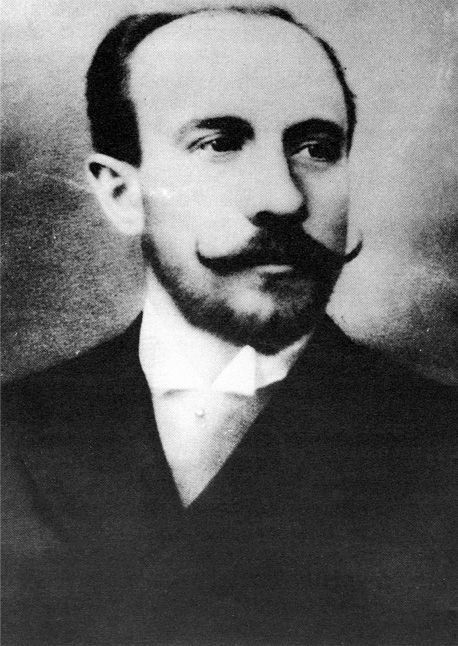 It's said that Méliès discovered this by accident when his camera jammed and the resultant film showed a tram change instantly into a pedestrian. We also learned then that humans had a psycho-physiological response to different frame rates and/or the changing time base (events happening faster or slower than reality). “[It was] thanks to the … experience gained day by day, [and] to luck, that we discovered many little tricks such as: films turned in reverse, permitting one to take a house falling down and then reconstructed as if by magic; a person falling from a roof and jumping up spontaneously. Films slowed down or accelerated by a turn of the handle, transforming peaceful passers-by into creatures seized by frenzy, or, on the contrary, sleepwalking. Stops, permitting one to displace an object. Double exposures. Fade-outs used for visions and dreams." Today's rapidly evolving technology, paradoxically, promises to restore some of the lost palette of the cinematographer from the silent era. The modern decoupling of flicker fusion and motion fusion, along with pitch control of sound, further free us from the omnipotent metronome. Our technology has advanced to the point that we’re no longer obliged to obey the 24 fps standard, or any of a similar kind, at least technically. We can now, on a scene to scene basis, exploit frame rates from the teens to the hundreds. We can resume altering both acquisition frame rates and display frame rates and even alter the time base to achieve substantial, though subtle, psycho-physiological response in the viewer. The control over the various functions of frame rate, shutter dwell time, etc., must now become as knobs on the device at the disposal of the camera operator who can "dial in" the interpretation of reality he wants. This can also be thought of in much the same way as filters, which also help the cinematographer "interpret" the nature of the reality he wants you to experience, and by and large also operate at a subliminal level. In short, we've arrived at a technological and artistic juncture where it's both possible and indeed imperative, that we take a step back, re-envision and, in a sense, re-invent this incredible motion picture phenomenon. If I could, I would synthesize all of film’s creative minds right down to the present, including Trumbull and Cameron and so many more of my colleagues, past and present, and bring us all to bear on re-creating, from the ground up, this incredible art/science that is the cinema, creating an amalgam of all that was, all that is, and all we can conceive that it can be.